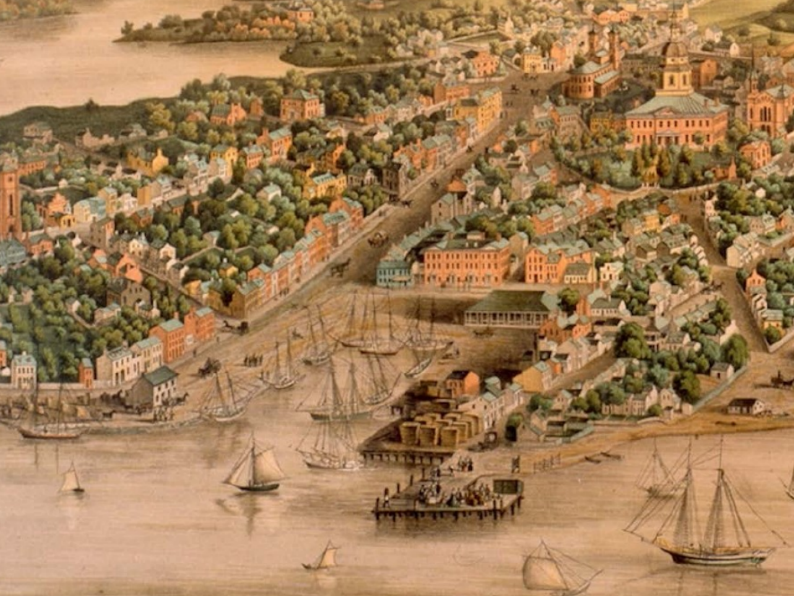 Bird's eye view of Annapolis, 1853. Proposed this summer, Ordinance 23-18 would lift the height and bulk restrictions around the waterfront, eliminate oversight by the Annapolis Historic Preservation Commission, and discard any requirement for a public process. 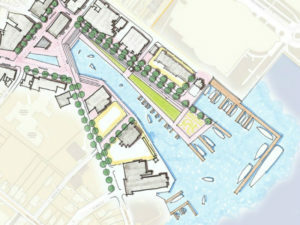 The rezoning would increase vehicular traffic, create a negative impact on viewsheds, erode the experience of living in and visiting Annapolis’s historic waterfront, and risks damaging the thriving heritage tourism economy. 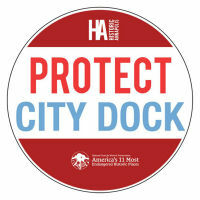 Proposed rezoning threatens to undo the character of City Dock. 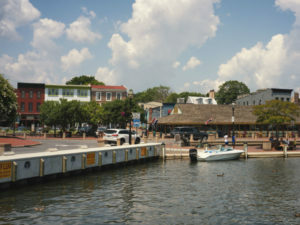 As a result of this threat, the National Trust for Historic Preservation listed City Dock as one of America’s 11 Most Endangered Historic Places, and Preservation Maryland name it one of their Six-to-Fix projects. Through an emergency grant of $5,000 from the Heritage Fund, Preservation Maryland joined the National Trust for Historic Preservation in raising funds to bring in the Urban Land Institute to conduct a Technical Assistance Panel (TAP) related to City Dock. The objective of the TAP effort is to provide expert, multi-disciplinary advice on land use and real estate issues. The results of the TAP will include further definition and details of redevelopment alternatives consistent with studies approved by the Annapolis City Council and will allow for a public conversation to increase the community’s understanding of alternatives. The TAP meeting has been scheduled and organized by Historic Annapolis, Inc. for October 23-24, 2018 and will bring together experts from architecture, planning, preservation, economics, with local experts, property owners, and business owners, including representative from Preservation Maryland. The public is invited to a Community Investment Session on Tuesday, October 23, 2018 from 5:30pm to 7pm at Annapolis City Hall, 160 Duke of Gloucester St, Annapolis, MD 21401. The public is invited to a Presentation of Recommendations from the Technical Assistance Panel on Wednesday, October 24, 2018 from 6pm to 7pm at Annapolis City Hall, 160 Duke of Gloucester St, Annapolis, MD 21401.